The giant wheel of doom! 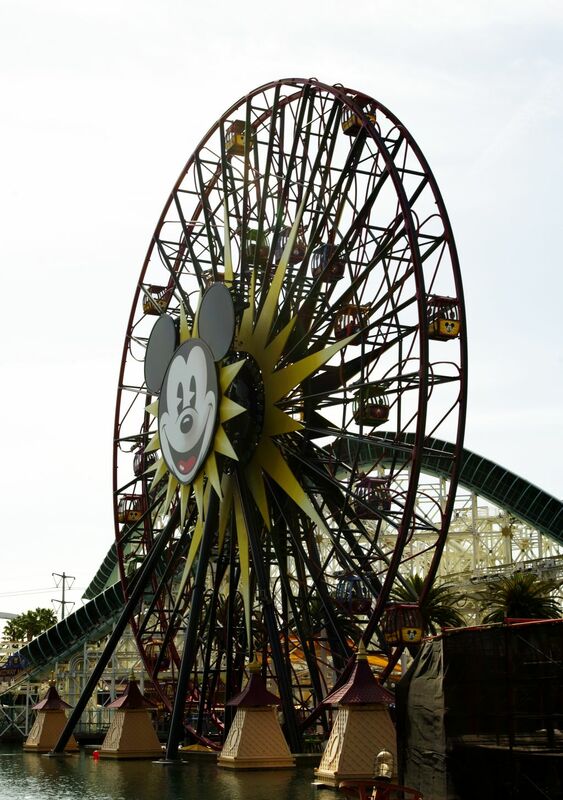 If you’ve been reading my blog you already know what Mickey’s Fun Wheel (above) did to my family. Here’s a brief recap: In March of this year my family and I went to Disneyland and California Adventure. We rode the Fun Wheel (or “Evil Wheel” as my family came to refer to it). I enjoyed it and my daughter and wife went to their mental happy places and my son screamed and cried. Why am I posting it today? The high school year is coming to a close (here in British Columbia, Canada) and I’m wishing that we were going back to Disneyland and California Adventure for the holidays. I’m also planning a trip to “Playland at the PNE” here in Vancouver for all of my Wolf Pack students (student leadership group) as a reward for their hard work throughout the year. We’ll ride the roller coasters and take a trip on the Hellevator (or eight as I usually do). My favorite ride is the Coaster, a wooden roller coaster built in 1958; my favorite because it’s the only coaster I’ve ever been on where I thought I might die. Only three more days before exams. Here’s hoping I make it. Pentax K20D; Pentax DA 18-55mm AL II; f16; ISO 100; 1/80 sec. So it’s been a freakin’ nightmare of a late spring in the lower mainland of British Columbia. Apparently when someone begged for sun for the Olympics the gods granted us our June sun in February, and cruddy February weather is hitting us now. 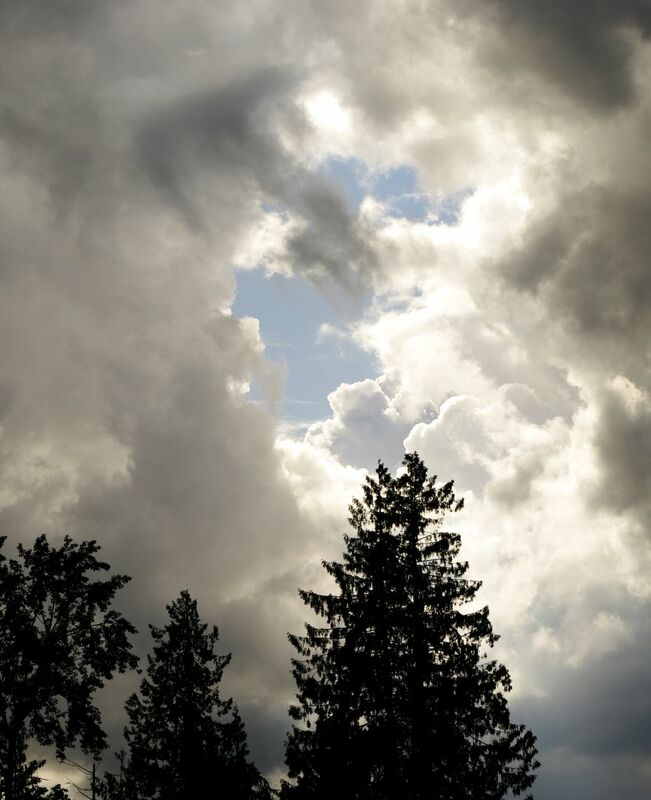 Weather forecasters have taken to predicting a cloudy day with sunny breaks and a chance of showers. For crying out loud, I don’t need a degree in meteorology to make that prediction. You can blindly point at the sky from October to May and get that right in BC. I don’t even mind the rain. I just don’t want it every day. I also would like to leave the house knowing that what I’m wearing might be applicable and practical for at least five minutes. ARGH! Pentax K20D; Pentax DA 18-55mm AL II; f16; ISO 100; 1/200 sec. p.s. I am sorry that I’ve been posting once a week lately. Life as a high school teacher in May/June is a bit hectic. I should start to be more consistent in my posting in the next week or two. Thanks for your patience. I hate fast food, which is probably why I eat it at least once a week. I know that it is bad for me. I know that my heart hates it. I know that my liver hates it. When I eat it I feel guilty and I don’t enjoy it. I did, once upon a time, enjoy it. I reveled in its grease and salt and sugary goodness when I was in high school. It was a race at lunch to make it from my school to McDonald’s. We’d make it to Rotten Ronnie’s and he’d be there, smiling that dastardly grin of his (secretly, he smiles at us when we eat his “food” because he’s psychotic and believes that, in his own way, he’s ridding the world of bad people who can’t help themselves). Sick bugger. 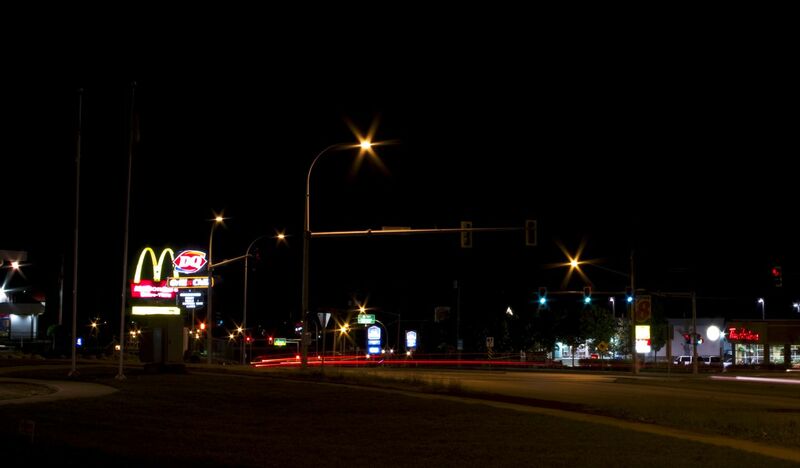 On the way home from the 2010 prom for the grads from my school (I’m a teacher) I spotted the alluring lights of DQ, McDonald’s, and Tim Horton’s. They all called to me with their sweet, syrupy voices and their late night illumination. I fought them off, but took photographic evidence of their trickery. A light at night helps guide you home, only they’re calling me to a high blood pressure, high cholesterol death and a home in the great beyond. Click on the photo to see it in a better light. Pentax K20D; Pentax DA 18-55mm AL II; f16; ISO 100; 13 second exposure; tripod mounted; remote fired.